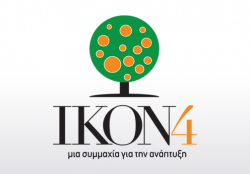 Αρχική > SERVICES > IΚON 4, a group of companies dedicated to the promotion of branding in Greece. FORLABELS participates in IKON 4, a group of four companies whose purpose is to highlight and promote the value of branding for Greek products and Greek manufacturing companies. In this context, it participates in the “I produce, I have value, I move ahead” series of events all over Greece, which are a consultation workshop involving a discussion on development and on the future of production and of our country, which aspires to act as an antidote to the crisis and to unemployment. To every elected representative who wants to help the producers of his district, who believes in their potential.